Musings from Mount Helicon: Did you just crawl from out from under a rock? Did you just crawl from out from under a rock? To be inspired? I'll do almost anything (keep reading to find out about the rock). So, picture nine beautiful ladies, dressed to inspire—bumping, grinding, singing, spitting poetry, being all tragic or comedic, going on about the stars and history and stuff around one man with his hands all over his instrument. Not sure where your mind was, but I'm talking about the Muses, and their main man is Apollo, god of music. Most paintings show him, strumming his lyre, surrounded by the nine daughters of Zeus and Mnemosyne, muse of memory. Each of these goddesses reaches out to those needing inspiration: that spark or epiphany that changes lives, shakes up things a little, and sometimes pushes those who need it in the least comfortable direction—forward. Inspiration for me doesn't always happen when I want it or how I want it, but that's usually the way that works. If it were easy, everyone would be getting some. I wanted to share with you the top places where I have found my inspiration over the years, and maybe this will help you, too. 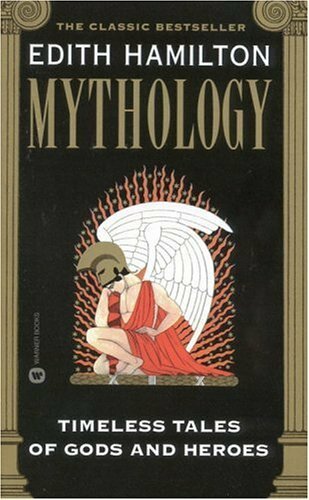 I focus on Greek mythology, but the ideas below can be extended to your own genre. When I am running dry on ideas, and I can't force the words, I pick a movie, like the Odyssey or Percy Jackson or Clash of the Titans (the 1981 film), and watch the mythical world I want to be a part of in full action. Seeing Scylla rip men of Odysseus' ship or watch Charybdis swallow what remains, or when Percy and friends are dealing with a Hydra in the Parthenon (okay, it's the Nashville reproduction, but it's pretty damn close), or even seeing Laurence Olivier, as Zeus, play with the fate of his son, Perseus... well, that's when I start thinking about MY story. Most often, after that, I'm primed and ready to go for a while. In the same category, I include Class of the Titans, a Canadian animated show about a group of kids who battle against Kronos and all the monsters he can throw at them. Catch it on YouTube. Yessir, I am 45 years old, and I still love my comic books, especially Wonder Woman. When the well runs shallow, I pick up a stack of comics (usually the ones where she encounters some gods or monsters) and get all nostalgic about when I first read them. Almost every time, I jot down some ideas that pop into my head from that, and then I play with it until I have what I really want. Hit up a LCS (local comic shop) near you for some back issues, if fantasy/superheroes is your genre, and see what happens. Sitting on my bookshelf at school (just so my students can see exactly where my geekdom started) is a set of AD&D books, among them my Deities & Demigods (with the Melnibonean stories of Elric as well as Cthulhu Mythos and all the great Elder Gods). Now, this book really pumps me up. Even though I write predominantly Greek myth-based stories, nothing helps more sometimes than reading up on Osiris and Isis, Thor and Odin, or even Amaterasu and Tsukuyomi. If it's from mythology from somewhere, it'll work. This, my friends, is my favorite book of myths—ever. Nostalgia from my childhood mixed with a great collection of stories and art always lights me up when nothing else really can. I've burned through five or six of these bad boys (paperbacks only take so much use!) in my life, and recommend it to anyone who wants to get a great overview. Bulfinch's works, too, but Edith and I have a history... an ancient one. Weather permitting (although sometimes inclement weather works for me), I take walks, admiring the grandeur of the natural world: the majesty of trees, the whimsy of birds, or the rhythm of flowing water. And, yes, I look under rocks. Sometimes you see the literal underbelly of the natural world just creeping, slithering, or growing in the dark places. It's inspiring to see how this world works, and will continue to do so, when I am long gone and part of the earth itself. This planet's been around for quite a while, and I think it'll be around at least throughout the rest of my lifespan. Take a deep breath, walk through the woods, listen to the sounds, and even stand in a rain storm. The power of the natural world is in itself a wonder. Browsing through websites about myths (theoi.com is especially fun), heroes, monsters, or anything related gives me a quick charge—sometimes even a map of ancient Greece give me an idea or three. It's just so easy to get lost in the "Interwebs," especially when I can bookmark places as I go. Pull up Google, type in a random word or phrase, and see where it takes you. Traverse the "underworld" (as it can be all-consuming, if you're not careful, some say soul-taking), and there's no Cerberos to bar your travels. Bonus! Inspiration is a fickle thing, and sometimes when you really feel like engaging in something totally mindless just to pretend you're not frustrated why you can't come up with those life-changing ideas, try one of the ideas above. What could it hurt? You might find what you need in the place you least expect. Maybe these ladies will let you dance or sing with them, just be careful: you might get caught playing with your instrument, too. Your mind.